An Australian teen was denied a visa to attend space camp in the United States today. The 15-year-old, Pouya Ghadirian, was born in Australia but his parents are from Iran, giving him dual citizenship. The visa denial is believed to be the first for an Australian citizen under the Trump regime’s so-called Muslim ban, interpreted by many legal scholars to be grossly unconstitutional. The high school junior was planning to visit the US with other classmates this upcoming March. The teenager’s trip was to include visits to Orlando, Washington, D.C., and the Space and Rocket Center in Alabama. The Alabama space camp is known worldwide as a thrilling experience for kids interested in science, technology, and space exploration. Hollywood even made a movie about it in 1986. Staff at the US consulate in Melbourne were reportedly apologetic about the visa denial, and perhaps a bit shocked. No federal agency, from the State Department to the Department of Defense, was warned about Trump’s executive order before Friday, adding to the confusion. Donald Trump’s hastily signed executive order on Friday banned people in seven predominantly Muslim countries from entering the United States. The order set off a domino effect of panic, as people already in transit with valid visas were left in a state of limbo. The Department of Homeland Security initially didn’t interpret the executive order to include green card holders—lawful permanent residents of the United States—from entering the country, but Trump advisor Steve Bannon reportedly instructed DHS that it does. The resulting confusion and general evil of such an order has prompted widespread protests in airports and street around the country. It’s been noted that no foreign nationals from the seven countries—Iran, Iraq, Syria, Sudan, Somalia, Libya, and Yemen—have committed acts of terror on US soil since September 11, 2001. In fact, none of the 9-11 attackers were from any of those countries. It has also been noted widely that the predominantly Muslim countries which are excluded from the ban are nations where Donald Trump has business interests. While this case is believed to be the first denial of a visa to an Australian national under the Trump regime’s horrific new policy, others in the country are concerned about future travel plans. As just one example, a 29-year-old Iranian-Australian named Sara Hagh, who expects to give birth in April in the United States with her American husband worries that her Iranian-Australian mother won’t be able to visit. Australia has had close ties to the United States militarily and economically, but those connections were strained by the Trump administration even before this executive order. Trump’s isolationism has left many allies in the lurch on everything from trade to commitments around defense, including long-understood promises that the US will come to the defense of its allies in the event of war. All bets seem to be off with the Trump regime, as bigotry seeps through the halls of the White House. Five-year-olds are being detained for hours in airports and teenagers aren’t even allowed to go to space camp. 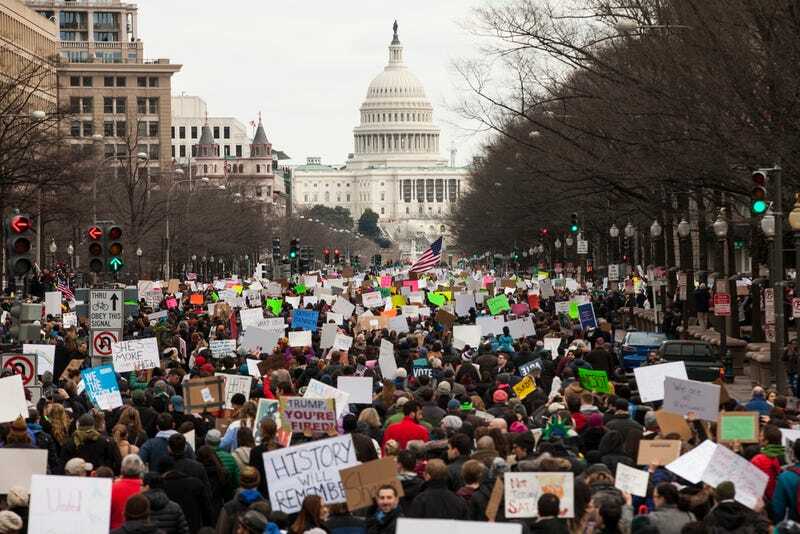 Patriots continue to take to the streets in opposition to a policy that, according to experts, is almost certain to make America not only less safe, but less well off both financially and culturally.